So, you want to go see the Iceland volcano? If planes were flying to Iceland right now, would you go and see the eruption up close? Is it dangerous? How close can you actually get to an erupting volcano? The answer depends on the type of volcano and on the phase of the eruption. In general, Icelandic eruptions are not particularly dangerous and can be a tourist boom. Eyjafjallajökull (which can be roughly translated as island mountain glacier but you have to be Icelandic to be able to pronounce it) started erupting on March 20 and attracted lots of tourists. The photos and videos in the internet are proof that yes, one could get quite close and the eruption was a beauty to watch. This initial eruption was not from under the glacier and was relatively mild and well behaved. Small explosions sent bursts of red-hot lava into the sky. It was all wonderful until, on April 14, the activity changed location after a brief pause. This time the eruption came from the top crater, under the ice, and not only melted ice and caused floods (common on this type of Icelandic volcano), but became much more explosive. When hot magma meets ice and water, the results are usually explosive and this was no exception. In fact, the resulting clouds of ash – though magnificent to watch – are playing havoc with aviation in Europe. Volcanic ash in airplane engines is very bad news, particularly jet engines. If you are stuck at an airport, what you want to know is how long is this going to last. The answer is nobody knows for sure. We can make some guesses based on the volcano’s past behavior, and on the behavior of similar eruptions. I can tell you that Eyjafjallajökull’s last eruption lasted from 1821 until 1823. But don’t panic! The really violent phase of the eruption, which produces lots of ash, may last only a few days. However, the volcano could keep going for months or years, with mild phases (which will be a joy to watch) and more violent phases (those which may get you stuck at some airport). There is also a danger that a nearby volcano, Katla, might blow its top. Although it is rare for volcanoes to do a double act, this pair has done it three times in the past 1,100 years! In fact, during this period, every time Eyjafjallajökull erupted, Katla followed. The reverse is not true, and Katla is overall a more active volcano with a bigger magma chamber. According to latest reports, Katla has not woken up, but the question is, will it? If so, Katla can generate much bigger floods, known in Icelandic as jökulhlaups (glacier bursts). In the past, Katla has discharged jökulhlaups where the water reached flow rates of over 100,000 cubic metres per second! I would not advise getting anywhere close to that one! 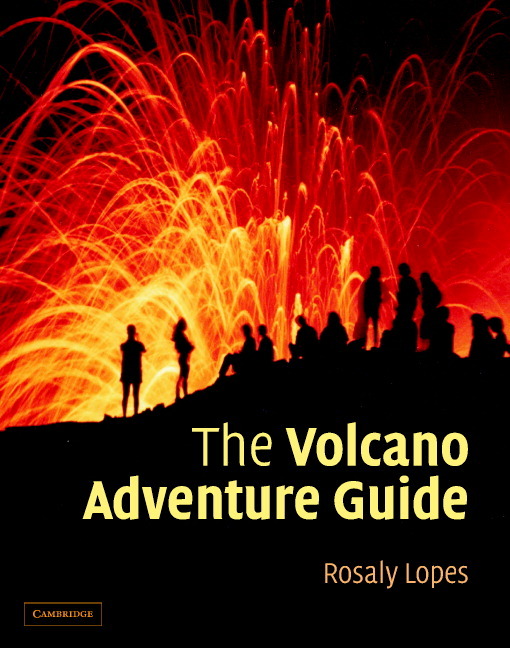 If you want to know more about visiting active volcanoes safely, check out The Volcano Adventure Guide. It has a chapter on Iceland, one of my favorite countries in the world. I wrote the book for the adventurer traveler and for all those interested in volcanoes.